And Blizzard has added them to the game’s public test region. Thank you, Blizzard! 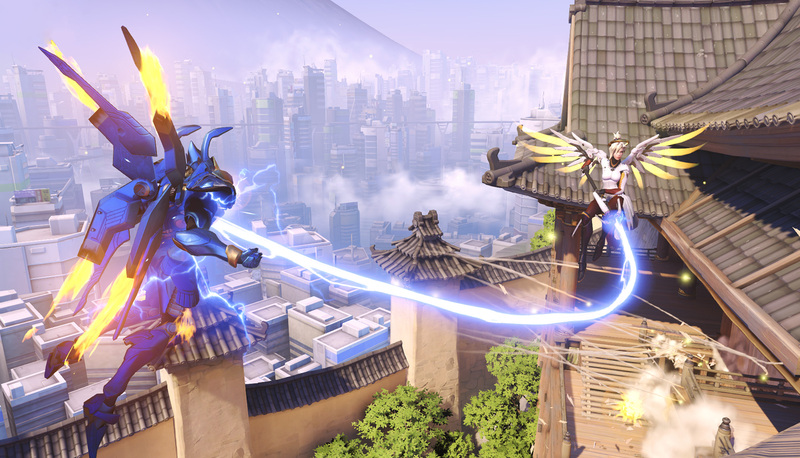 Overwatch in-game spectators can now toggle on third-person floating health bars for both teams. It’s a feature that’s going to make Overwatch esports much more pleasant to watch—and it’ll have a positive influence in caster analysis, too. Blizzard quietly implemented floating health bars for spectators in the latest Overwatch public test region patch, though the feature is expected to make it to the live server soon. Previously, this information was only available in the third-person perspective by looking away from the fight and to the team lineup bars at the top. And given how chaotic Overwatch can be, looking away for any amount of time could cause confusion. Blizzard has not commented on when this feature will hit Overwatch’s live server, but we’re guessing DoA wants it before he starts casting season two of the OGN Overwatch APEX on Jan. 17.